Dave Serfling and Joan Lundahl dancing Nightclub Two-Step at Sweetheart Jamboree 2017 in Bellevue, WA February 11, 2017. Dave Serfling attended a Nightclub Two-Step workshop with Craig Johnson & Joan Lundahl and had a chance to dance with Joan and enjoyed the opportunity. During the open dance time later that evening he had a chance to dance a whole song with Joan. Dave’s wife Jimmi recorded it on video. 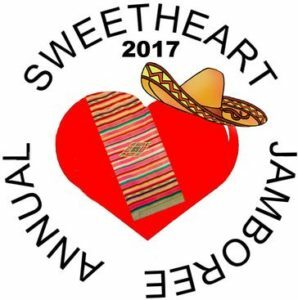 Sweetheart Jamboree was a lot of fun this year. The dancers rotated nicely and were friendlier this year than some years in the past. You can look forward to next year and meeting new people and learning new dance material. If you are interested in learning how to dance Nightclub Two-Step Dave Serfling offers lessons at the Rockin’ Horse Dance Barn in Renton, WA. Very nice! Mark and I need to get back in for more lessons!